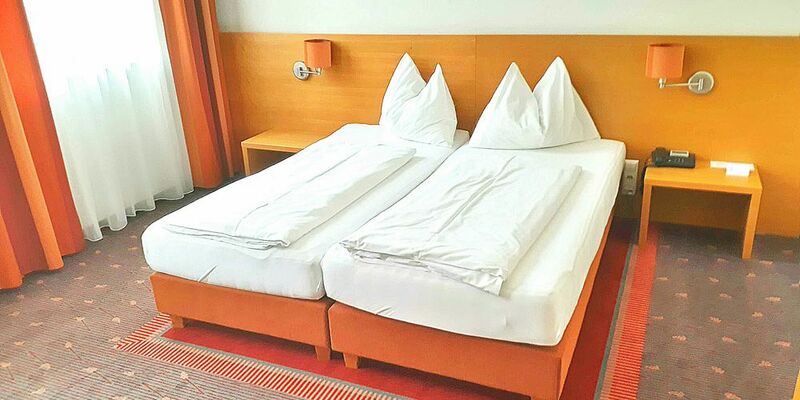 In the cozy rooms of Hotel Fabrik in Vienna, you can enjoy the highest of comfort and genuine hospitality! From the first handshake to check-out, our friendly team at Hotel Fabrik will take care of you with much dedication. The incomparable architecture of the former linen factory blends with the modern furnishings and amenities to create a perfect refuge for your stay in Vienna. So that you can keep cool on hot summer days and enjoy your stay in Vienna to the fullest, all of our 39 rooms are equipped with an air conditioner. WLAN is available for free throughout the hotel. All rooms are non-smoking and have a private bathroom and WC as well as hypoallergenic bed linens and soft carpet flooring. Depending on your wishes, you can choose between the standard and superior room category. The comfortable standard rooms invite you to relax and enjoy your stay in Vienna. In the light-flooded superior rooms with a view of the green inner courtyard, you can experience the best side of Vienna. rather spacious and equipped with all the comforts. The rooms was very clean and spacious. Everything I needed was available. very quiet in the inner courtyard.